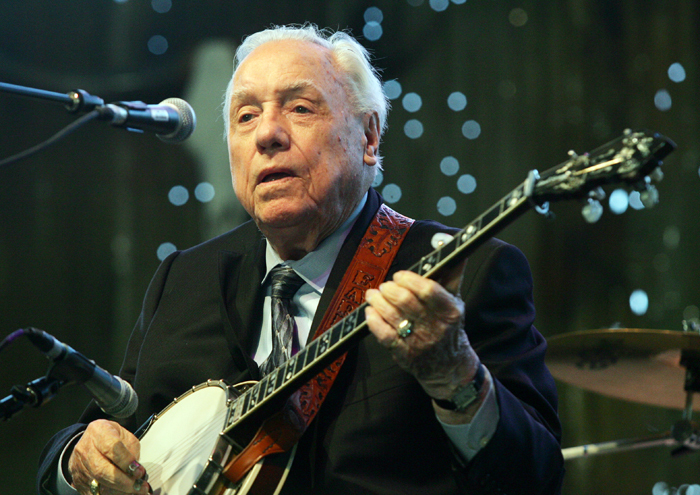 Earl Scruggs the Bluegrass legend is no more! Earl Scruggs, the Bluegrass legend is no more with us! He was 88. His son Gary Scruggs confirmed about this from Nashville hospital where he leave us. Doctors said it was a natural cause of death. Earl Scruggs was a great banjo composer, player and singer. The famous Bluegrass TV show themes of ‘The Beverly Hillbillies’, ‘Clydemovie’and ‘The Bonnje’ are made by this legendary star. When this news spread out in media, everyone feels sad for him. Press and media cover this legendary’s biography. This is the one man who invented the great banjo using three finger style and made lots of awesome music for us. Even this century’s 17-18 kids are also turning their TVs to hear the banjo. Earl Scruggs was born in 1924 in North Carolina State in a musical family where everyone played musical instrument. At the age of 4, Scruggs tried to play banjo and when he was ten, he discovered the great three finger style banjo playing by his own technique. Still this style is considered as best style to playing banjo. Back in 1967, in ‘Bonnie and Clyde’ movie featured a long solo of Scruggs which was called as ‘Foggy Bottom Breakdown’. This was written by him & his partner Lester Flatt in 1949. But ‘The Beverly Hillbillies’ theme is still in top position throughout of his great musical background carrier. ‘The Ballad of Jed Clampett’ was the opening music for this shows in every single episode from 1962-71, until it was ended. Earl Scruggs has two sons Gary and Randy along with his wife Anne Louise who died in 2006. Everyone will missed him a lot, who was not only a great banjo player but also the great musician for whom ‘The Beverly Hillbillies, The Bonnie and Clydermovie’s theme song achieved Top of the Chart in 1960.